Before CD Projekt Red released its acclaimed role-playing games based on the series, The Witcher wasn’t particularly famous outside Poland and Eastern Europe. The author of the novels, Andrzej Sapkowski, wasn’t a fan of video games either, and when approached by the Polish developer, he sold them the rights to The Witcher for a fixed sum. Now, it seems like Sapkowski wants more than what was originally agreed upon. With a new notice, CD Projekt confirmed that Andrzej Sapkowski is demanding 60 million PLN, around 16 million USD, from the company. According to author’s lawyers, the original deal was only for the original The Witcher, and not for its sequels. The Management Board of CD PROJEKT S.A. with a registered office in Warsaw, Jagiellońska 74, hereby announces that on 1 October 2018 the Company received an official demand for payment filed by plenipotentiaries of Mr. Andrzej Sapkowski. 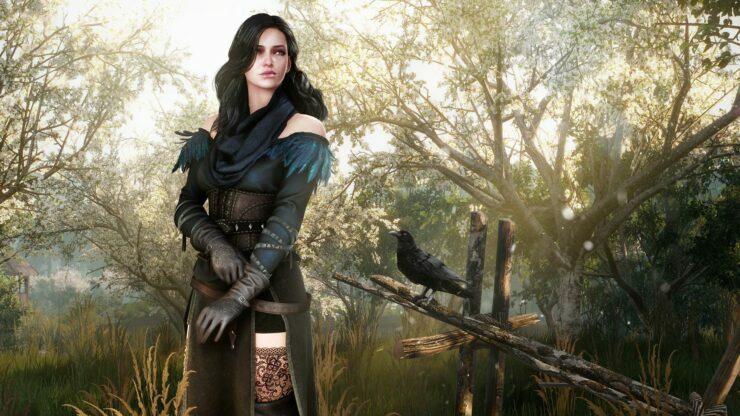 The notice indicates that Mr. Andrzej Sapkowski expects payment of additional royalties beyond what had been contractually agreed upon between himself and the Company. The contents of the notice are attached to this report. In the Company’s opinion the demands expressed in the notice are groundless with regard to their merit as well as the stipulated amount. The Company had legitimately and legally acquired copyright to Mr. Andrzej Sapkowski’s work, i.a. insofar as is required for its use in games developed by the Company. All liabilities payable by the Company in association therewith have been properly discharged. It is the Company’s will to maintain good relations with authors of works which have inspired CD PROJEKT RED’s own creations. Consequently, the Board will go to great lengths to ensure amicable resolution of this dispute; however, any such resolution must be respectful of previously expressed intents of both parties, as well as existing contracts. In the Company’s opinion receipt of the abovementioned demands meets the significance criterion due to the identity of the person submitting the demands. The Witcher 3 is the latest main entry in the series, but players will soon be able to return to the world created by Andrzej Sapkowski and made popular by CD Projekt Red next month, with Thronebreaker: The Witcher Tales.